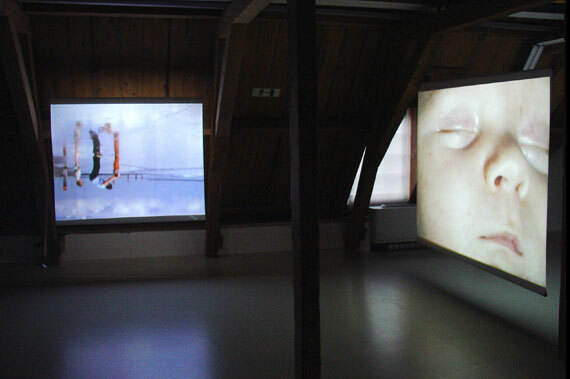 Exhibition:"Attic of Memory", work:"Looking through my father eye's", and "Sleeping baby". The projection shows an old 8mm film of a mother with two small children at sea. The film is projected upside down, so that the water turns into some sort of air-reflection. Sometimes the woman and the two children can be seen in the wet sand, the next moment their image is washed away by the sea.